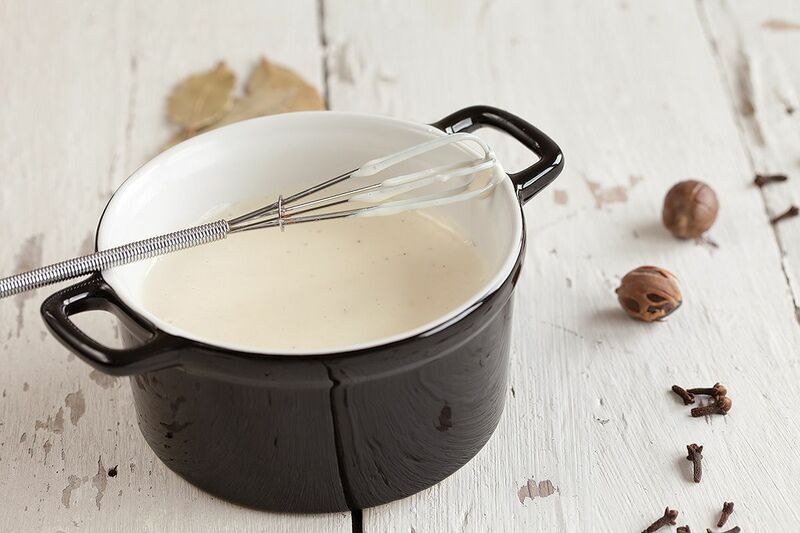 The first step of a béchamel sauce is a roux. 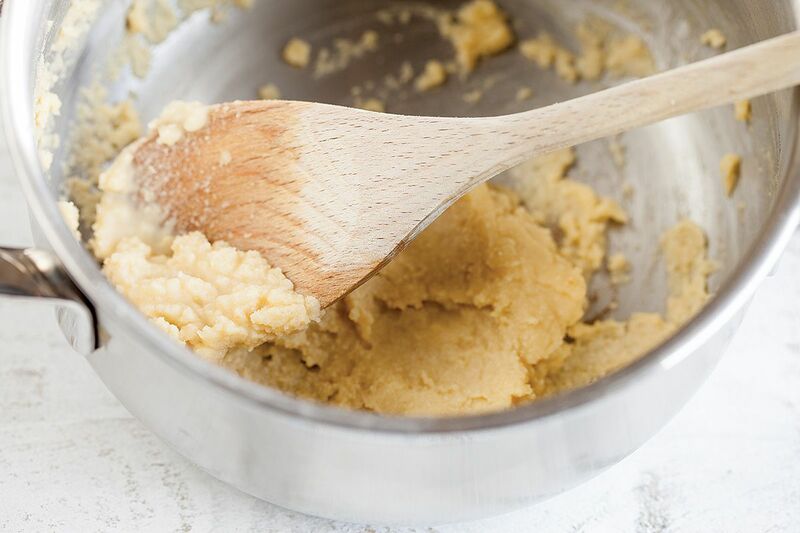 A roux is made of butter and flour and it’s used to thicken a sauce, soup or stew. There are two different types of roux; white (blanc) or brown roux. White roux doesn’t really bring taste to a dish, so it’s mainly used as a thickening agent. For a brown roux the butter browns slowly, that will give it a nutty flavor, of course it is also a thickening agent. Let it cool off completely. When the liquid you’re adding is hot, in this case that will be milk, you should have a cold roux. The other way around is possible too, only one of the two should be hot. That way it will mix perfectly without creating lumps. Heat the milk and let it simmer on medium-low heat for about 10 minutes. 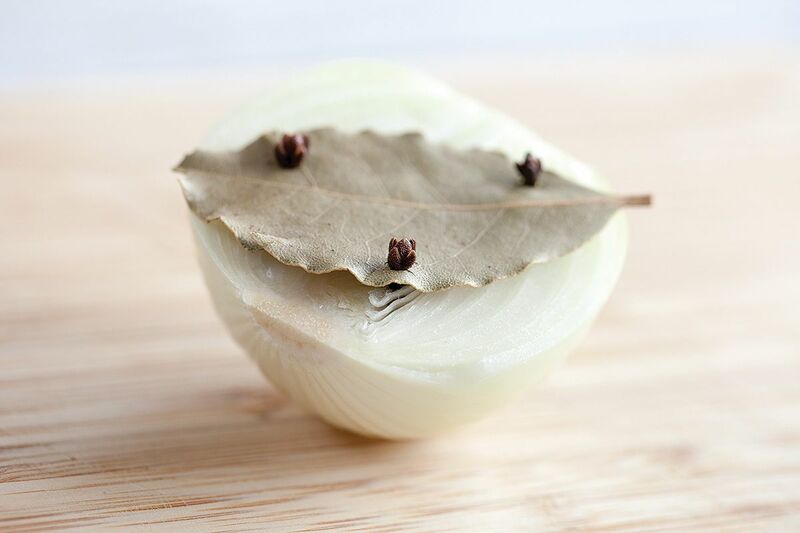 Remove the half onion from the hot milk. Add the hot milk little by little to the roux and mix using a whisk until the mixture is smooth. Keep on adding the remainder of the milk while whisking. You will notice that it becomes a thicker sauce after just a few minutes, this means the roux is doing its thickening job very well. SEASON with salt, pepper and nutmeg. 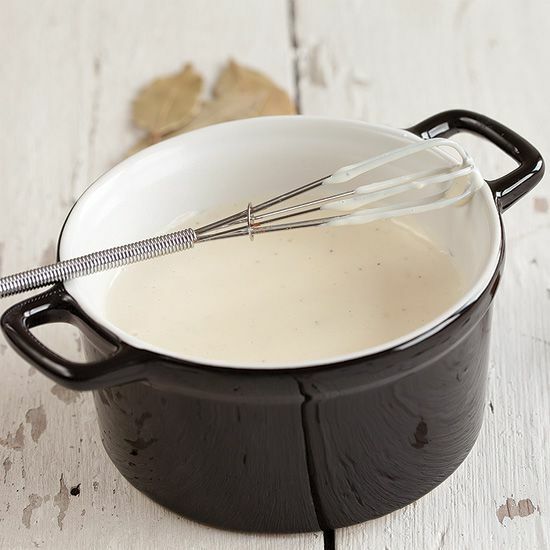 Béchamel sauce can be used as-is. It’ll go great with vegetables like cooked cauliflower or chicory. It can also be used in a classic lasagna or even in casseroles. The choice is yours! 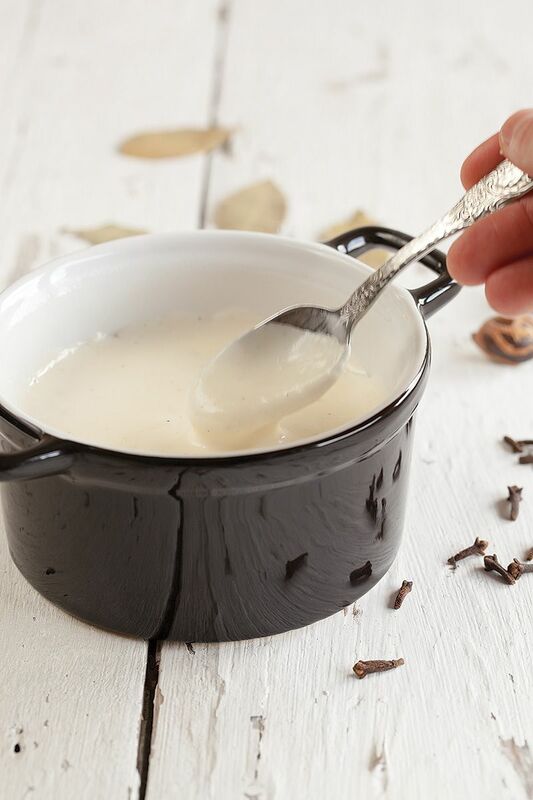 Very often it is used as a basis for a lot of white sauces, cheese sauces and cream sauces.